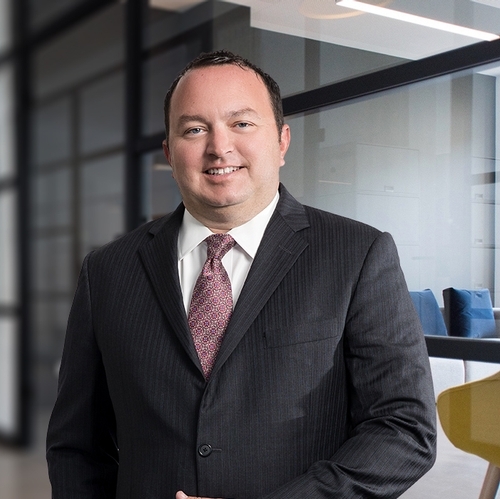 Lou, co-chair of our Business and Banking Practice Area, focuses his practice on structuring, negotiating and documenting commercial real estate transactions and financings. In addition to drafting and negotiating all forms of commercial loan documentation for multi-state transactions, Lou regularly advises institutional lenders, borrowers, commercial banks and investors with respect to a variety of issues. Additionally, Lou practices general corporate law, drafting governing documents such as by-laws and operating agreements, as well as negotiation and preparation of restrictive covenants. Given his representation of a variety of businesses in the restaurant and hospitality industry, including structuring and documenting sale and purchase transactions, Lou also has an expertise in government licensing and permitting (including liquor licensing) and related aspects of such transactions. Lou has signficant prior experience litigating complex commercial business and banking matters, restructurings and workouts, which afford him practical insights into legal concerns that can arise throughout the entire business and transactional life cycle. Lou serves as Treasurer and Trustee of the Raritan Bay YMCA, and mentors students at his alma maters, St. Joseph's High School, St. Joseph's University and Rutgers Law School, where he also serves on its career services advisory panel. Lou is a member of the Middlesex County, Perth Amboy, Woodbridge, South Amboy and Sayreville Chambers of Commerce and received the South Amboy Chamber of Commerce Business Leader of the Year award in 2014.